We love the range of projects we are asked to work on - from office signs and memorabilia to industrial engraving in automotive fields, there’s a constant flow of exciting ideas coming our way. Recently, we’ve been asked to engrave a variety of memorial plaques to commemorate a series of subjects. Here’s a few images our customers sent us of the finished products. Engraved on Corian sheets, this war memorial will act as a long lasting remembrance of victims of both the first and second world war. 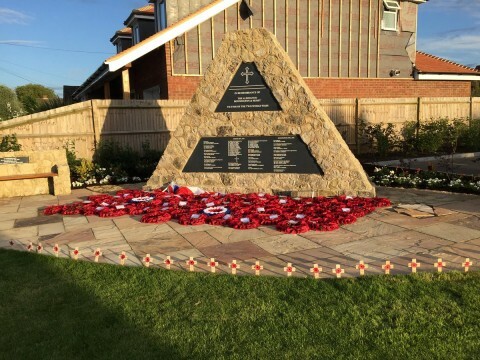 It’s a sobering piece to work on but we’re really pleased with the final result and it’s great to see the whole memorial. 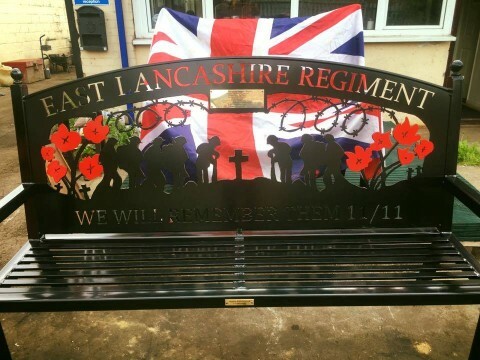 We were asked to create a custom engraved brass plaque for a memorial bench, remembering the East Lancashire Regiment. The customer who ordered the plaque sent us this picture of the finished product mounted to the very intricately designed bench. The Society of Sir William Wallace (SOWW) asked us to create a memorial plaque in honour and to uphold the memory of Scotland’s patriot, Sir William Wallace. Here’s a few photos they sent us of the unveiling of the finished brass plaque we engraved with a custom image etched as well as memorial text. We think it looks great in its final location!